Born and raised near Houston, Texas, Dr. Jared C. Kleine began his education at Brigham Young University, where he earned his BA in Japanese in 1994. He started his career in dentistry at the University of Texas School of Dentistry, earning his Doctor of Dental Surgery Degree in 1998. Dr. Kleine then started his continuous practice as a general dentist and would later move on to establish his solo practice in Madison, Virginia as of 2000. In 2005, Dr. Kleine was honored as a Fellow of the Academy of General Dentistry (FAGD). 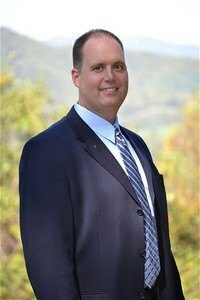 In 2012, Dr. Kleine became a Fellow of the Virginia Dental Association. Dr. Kleine is affiliated with many reputable professional associations, including the American Dental Association, the Virginia Dental Association, the Shenandoah Valley Dental Assiocation, the Academy of General Dentistry, The Virginia Academy of General Dentistry and the Virginia Academy of Dental Sleep Medicine. Dr. Kleine’s education in Japanese was essential to his two year church mission in Japan. Today, he continues to serve on the state level through his regular participation in Mission of Mercy (MOM) projects. As an active member of the community, and himself an Eagle Scout, Dr. Kleine regularly contributes to the Boy Scouts of America through his involvement with the Stonewall Jackson Area Council. Aside from their trusted local dentist, members of the community also know him as the former president of the Madison Chamber of Commerce. When not caring for patients, Dr. Kleine enjoys spending time with his wife and keeping up with his four very active children. 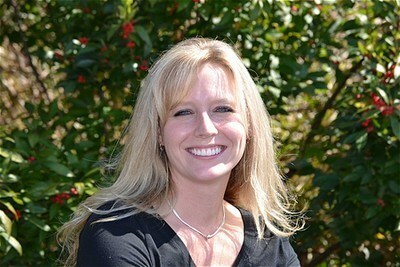 Casey Haynes has been with Kleine Dental since 2006. She has served as a Dental Assistant, and more recently as the Office Administrator. She proudly maintains certifications in Dental Radiation, as well as First Aid and CPR. Through her growing experience and expertise, Casey has become a genuine asset to the practice and is recognized by her fellow staff and patients for her outstanding commitment to care. 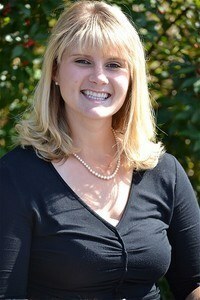 Born and raised in Madison, Virginia, Casey has had a long time love of horses. She is a Certified Equine Sports Massage Therapist (ESMT) and regularly rides on weekends. She also enjoys spending time with Joey, her husband of four years, and their two year old son, Preston. If you would like to make an appointment, please contact our office by phone or email.. Our office facilitates communications and emergency calls and appointments are available and welcome, especially for new patients seeking help. Click HERE to view insurance companies we participate with. We will be more than happy to submit all insurance forms for you and help you recover the most from your benefits. We will do everything we can to help you afford the treatment you need and want. For patients who require major work, a complete payment plan is designed with an appropriate payment schedule. Forms of payment accepted by the office are check, cash, visa, mastercard and discover. As a newly welcomed member of Kleine Dental, Juliette Beauchamp has been building relationships with patients as a dental assistant since January 2012. She is fully certified in CPR and radiology. Juliette’s professional care experience is quite diverse, as she is also a licensed veterinary technician. In addition to horseback riding, Juliette regularly enjoys practicing photography.